Activision has announced that Crash Team Racing Nitro-Fueled will release on Nintendo Switch, remastering the original PlayStation classic Crash Team Racing in HD. Beenox has handled the remaster, rebuilding the experience from the ground up with the same characters, karts, tracks and arenas but now on the portable home console. You will have the chance to race as Crash, Coco, Dr. Neo Cortex and other characters against the egomaniacal Nitros Oxide to save the planet from destruction. The Adventure, Arcade Single Race, Cup Race, Time Trials and Battle Mode make a return, while you can race with friends both online and offline. 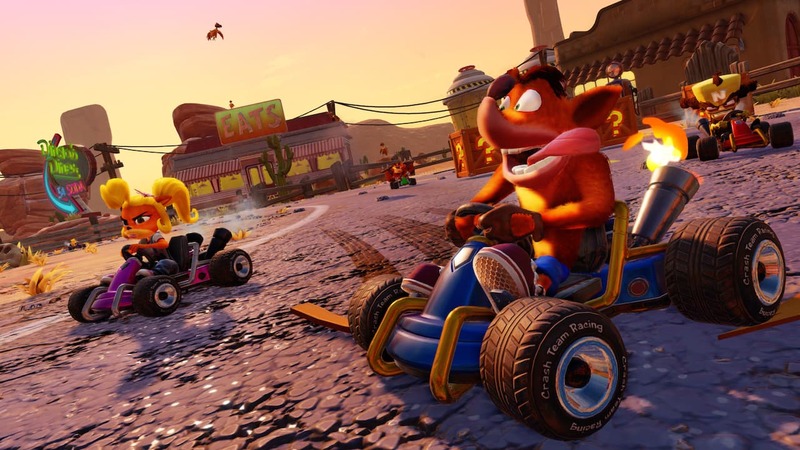 “The love that fans have for Crash Team Racing goes beyond just a fun kart racing game, and we’re excited to finally show fans what we’ve been working on to celebrate its 20th anniversary,” explains Beenox co-studio head Thomas Wilson. You pre-order the Crash Team Racing Nitro-Fueled: Nitros Oxide Edition ($59.99), a digital deluxe edition that throws in Nitros Oxide as a playable character from day one in all game modes. You will also receive the complete game, Oxide’s Hovercraft kart, space-themed character skins for Crash, Coco, Cortex, and more. This content will be available to unlock in the standard game ($39.99), by completing some of the fiercest challenges in the Adventure Mode. Crash Team Racing Nitro-Fueled will release for Nintendo Switch worldwide on 21st June 2019.